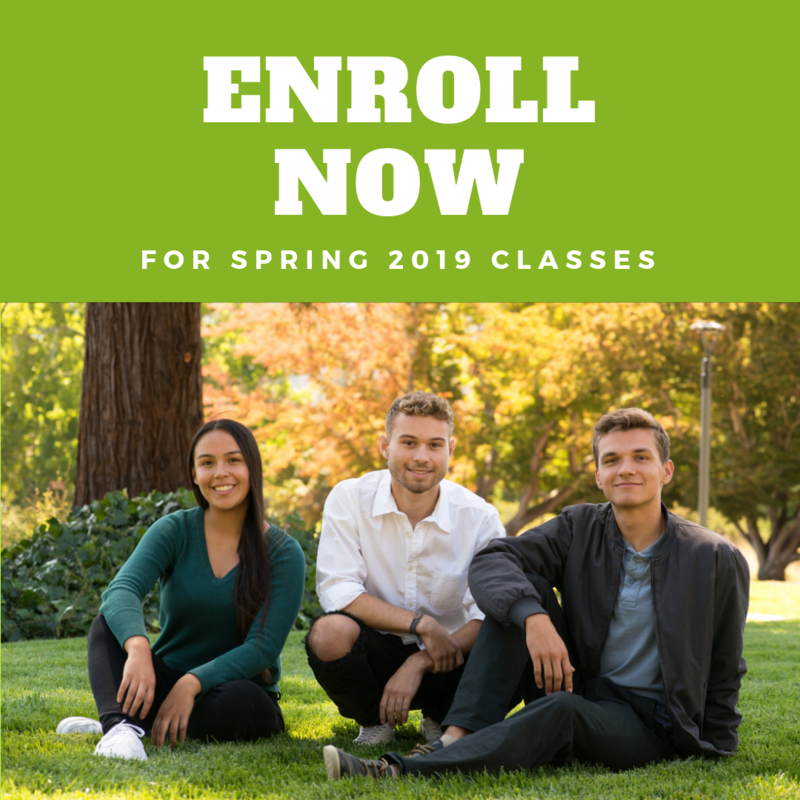 KENTFIELD / NOVATO, CA—November 29, 2018—Enrollment is open for College of Marin’s spring 2019 semester, which begins on January 19 for weekend classes and January 22 for weekday classes. Students can register for spring semester classes now, either online or in-person at Enrollment Services. New students and students who have not attended College of Marin within the past year (fall and or spring semesters) should complete the CCCApply application first. After submitting the application, an email welcome letter will be sent, which includes a username and login instructions to access the MyCOM Portal. After enrolling, students can schedule an appointment with an academic counselor to discuss their academic goals and develop an educational plan that will guide class selection. Students are encouraged to register early, as high-demand classes fill fast. A complete list of spring classes is available online at https://netapps.marin.edu/Apps/Directory/ScheduleSearch.aspx. College of Marin operates two campuses in Marin County, offering degrees and certificate programs designed to prepare students for in-demand careers and associate degrees developed specifically for transfer to a California State University campus. Now students can earn a Sonoma State University bachelor’s degree through classes taught at College of Marin’s Kentfield Campus. More information about courses, majors, financial aid, student services, and campus life is at marin.edu.